WYZA.com.au Says It's Over 50s Audience Is "Very Tech Positive"
WYZA.com.au, Australia’s fastest growing digital destination for people 50-plus today announced that it has just exceeded 200,000 subscribers to its weekly newsletter. With the WYZA subscription base growing at a stunning rate – tripling in size over the last 12-15 months (59,000 in April ’15 to 151,000 in June ’16 and 200,000 in July ‘16), managing director Michael Farley said that reaching 200,000 subscribers was a significant milestone for WYZA – a 100 per cent YOY growth – reflecting the massive engagement of our 50-plus demographic. “200,000 weekly subscribers means that WYZA is better able to directly reach this exclusive and hard-to reach audience of people 50+, significantly out-performing our competitors in this category “ Farley said. 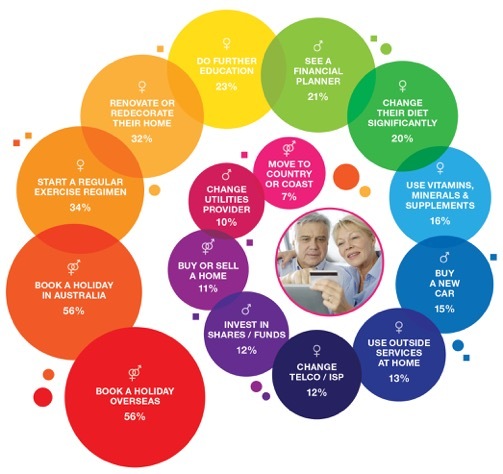 A research study conducted by the site found that far from winding down, people over 50 are still forward and outward looking – wanting to travel, get or stay healthy, explore and buy new things or switch things up. “Sixty is the new 40 with our users telling us they feel younger than their age and are optimistic about the future. Travel is the clear No 1 leisure passion for the WYZA audience with more than three quarters of them stating they intend to book a holiday within the next year. Getting or staying healthy, decorating or renovating their home and studying something new are all on the top of the list of things people over 50 are planning to do,” Farley added. Less than 2 year old, WYZA.com.au has over 430,000 monthly visitors, generates more than 1.2 million page views, 24,272 Facebook followers and 200,000 weekly newsletter subscribers. “The WYZA generation is a little older and a lot WYZA. They are savvy genre-defying consumers and are determined not to be ignored,” Farley said. “What is also clear is that the old model of reaching people in this age group has changed. Some 88 per cent told us that they dislike the way advertisers currently communicate with them. 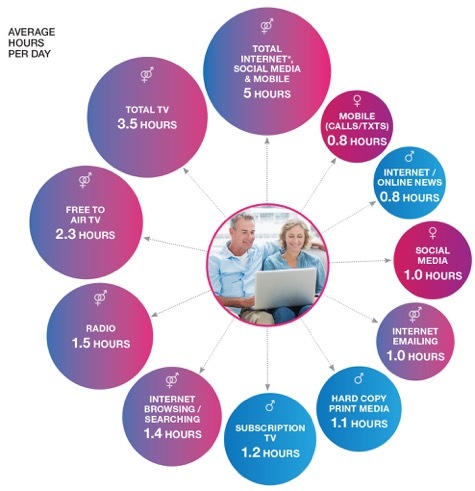 Remarkably, they spend an average of five hours a day on the internet, social media and their mobile phones.